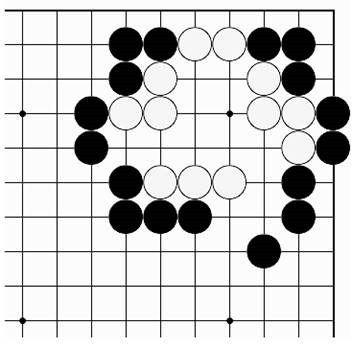 Black 1 set up against White’s group in a robustly solid way. 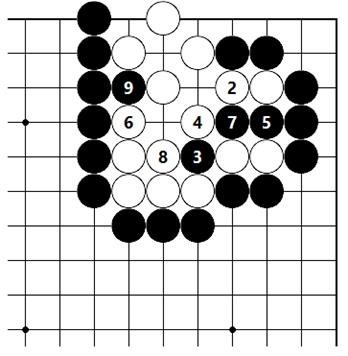 White 2 is met by the cut of Black 3, which is a tesuji to give White false eyes [kakeme]. 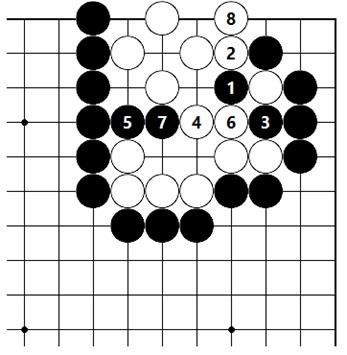 In response to Black 3~5, White might play 6, but then capturing with Black is fine. 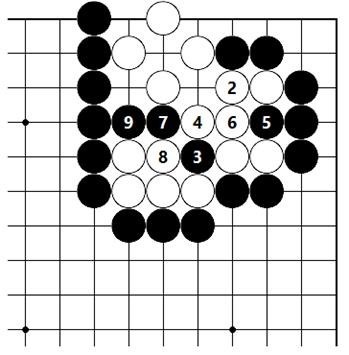 Black 9 ensures that either White’s eye above or below will be made false. Black 1 overeagerly attacks prematurely. 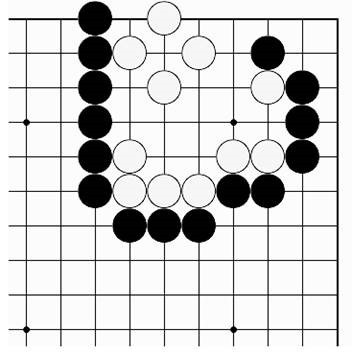 It lets White play at 2 so that White’s group cannot be killed. 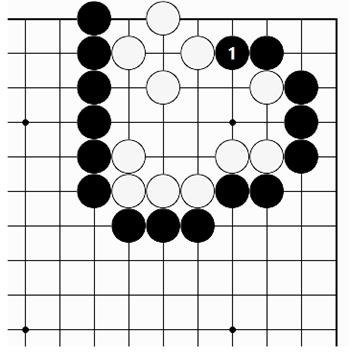 *There is only one first move.